HOW MANY OF YOUR VACATION DAYS did you use in the last year? If you live in the United States, chances are the answer to that question is somewhere around half of them. Which means you could be taking paid time off to hang out in Costa Rica right now. And Costa Rica is a pretty sweet place to be, whether you go for its unrivaled ecotourism opportunities, from watching sea turtles nest to ziplining through the rainforest; its 1,000 miles of coastline on both the Pacific and the Caribbean, and the spectacular beaches and surf that go along with it; or its 50 national parks, representing the nation’s unprecedented commitment to preservation and protecting a full 5% of the world’s biodiversity. Not that anyone really needs convincing, but here are 30 images of Costa Rica that will inspire you to take your vacation time and put it to better use in the months to come. Here’s to restoring our work-life balance, one epic trip at a time. Costa Rica is small, just under 20,000 square miles—about the size of two Vermonts. And yet, this country that accounts for just .1% of Earth's land area harbors 5% of its biodiversity. Costa Rica's tropical mountain chains, rainforests, and various islands are home to species both highly endangered and more common, such as the red-eyed tree frog seen above. 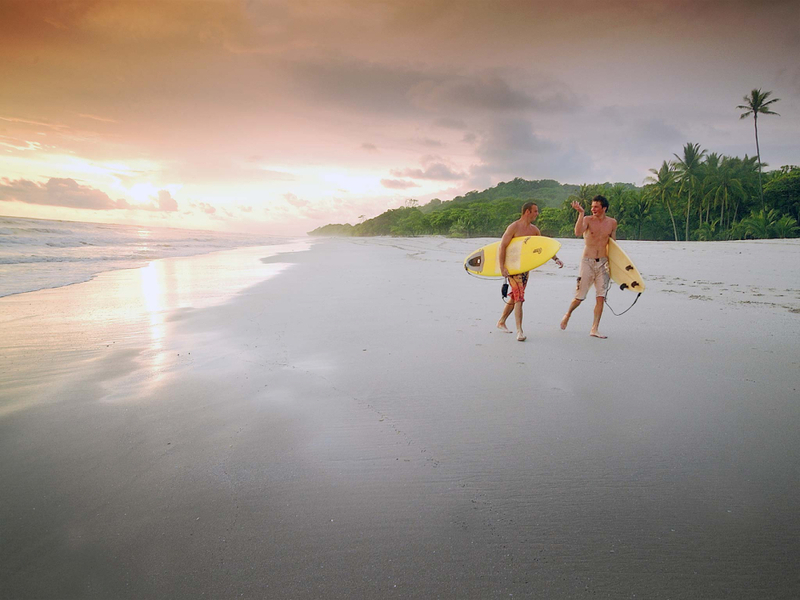 Bordered by the Pacific to the west and the Caribbean to the east, Costa Rica has no shortage of beaches. The best part is that, no matter what time of year you visit, if conditions on one coast are less than ideal, all you have to do is travel a few dozen miles overland to access a completely different white-sand paradise. 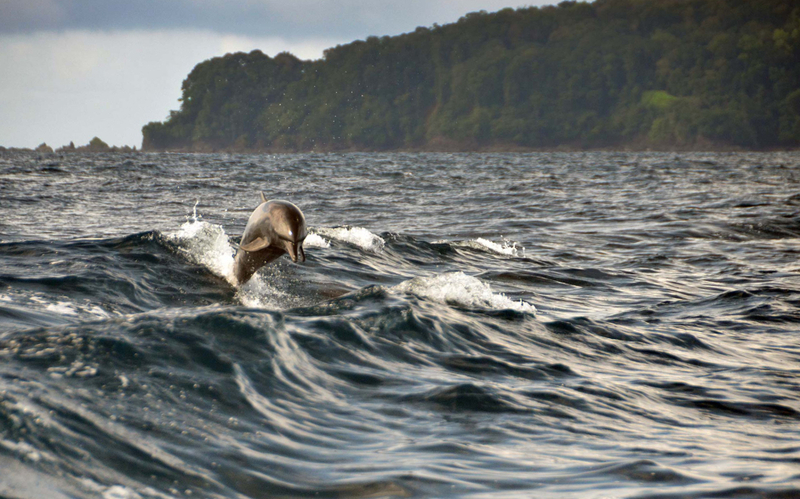 Caño Island Biological Reserve, just one of the country's dozens of protected areas, is located off the Osa Peninsula in southwestern Costa Rica. If you're into marine life and top-notch diving / snorkeling, this is where you should be. Of Costa Rica's 14 volcanoes, Arenal is probably the best known thanks to its near perfect pyramidal shape. The national park that surrounds it shares its name and is located a short drive north of the capital San José. The Emperor butterfly is common in Central America and can grow to have a wingspan of nearly 8 inches. Its iridescent coloration brightens the forests of Costa Rica. 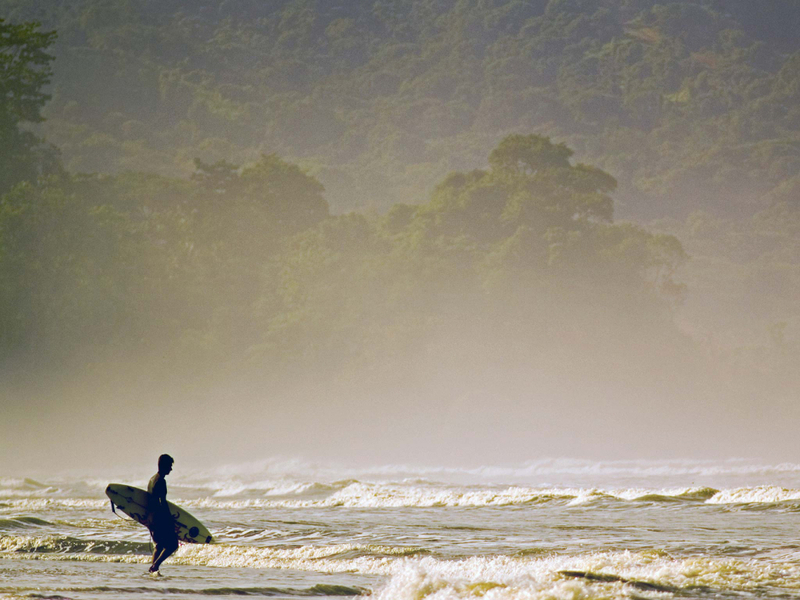 Thanks to its dual coasts and favorable features / conditions, Costa Rica has long been a surf destination. 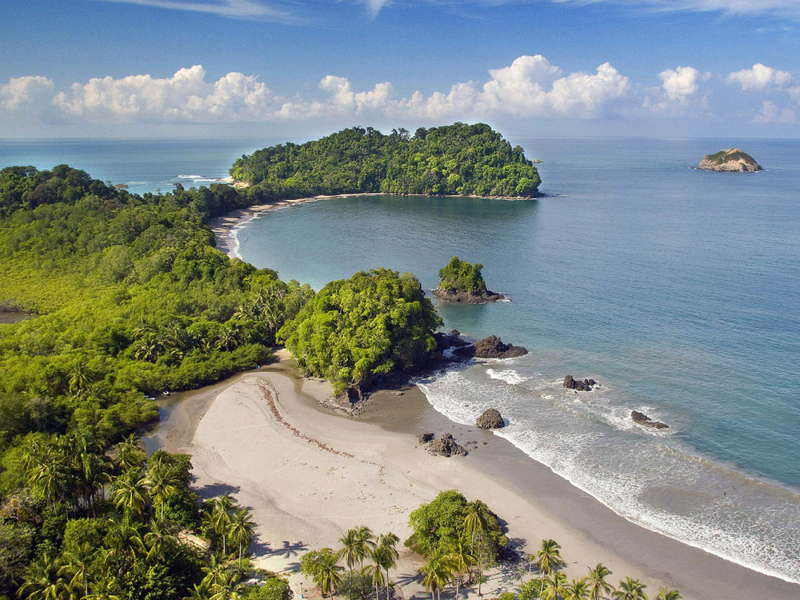 Pictured above is Playa Avellana, located on the Nicoya Peninsula. Its waves tend to be mellower than those of the popular Playa Negra farther south. Near the Pacific town of Quepos, Manuel Antonio draws lots of visitors for its mix of pristine jungle and palm-bordered beaches. 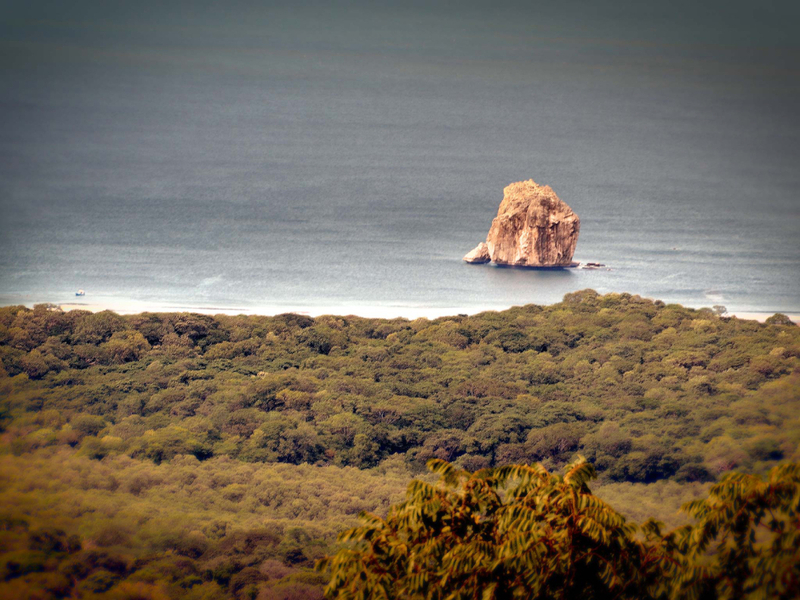 Punta Catedral, the point you see in the distance above, is accessed via hiking trails. One of Costa Rica's most iconic creatures, the three-toed sloth lives in the trees but is also a capable swimmer. Near Puerto Limón, you can arrange a boat tour for a chance of seeing this beloved animal in its jungle home. 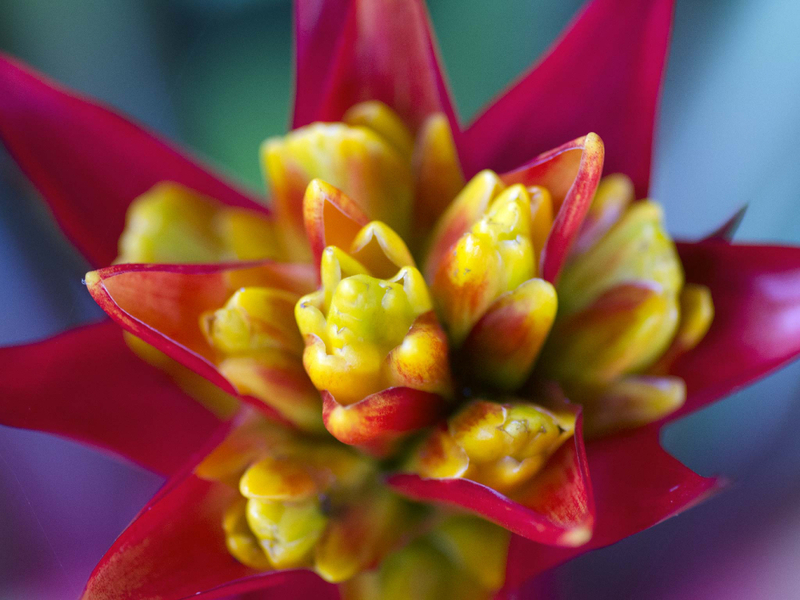 Costa Rica's biodiversity includes flora as well as fauna, of course. The colors and forms of plant life here are hard to match. Cocos sits 340 miles southwest of mainland Costa Rica (about halfway to the Galápagos) and is an uninhabited national park. If you manage to make it out here, you've probably done so for the diving—some of the best in the world. Bajos del Toro is a private reserve, just north of San José, where this waterfall plunges 300 feet from a hole in the cliff face to the bottom of an extinct volcanic crater. Guanacaste's Playa Hermosa remains a laid-back alternative to some of the more popular beaches nearby. Find it just south of Culebra Bay on the north Pacific coast. Palo Verde National Park is set in the valley of the Tempisque River in northwestern Costa Rica, protecting ecologically significant dry forests as well as mangroves along the river. It's a great place to see birds, from macaws to ibis to wood storks, as well as the mangrove black hawk, pictured above. 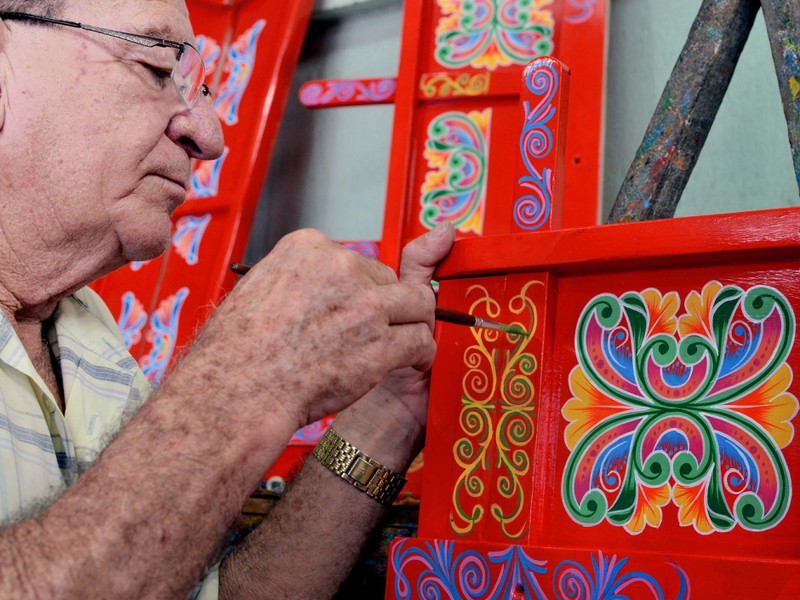 On the northern outskirts of San José, set in the foothills that lead up to the Poás Volcano, the town of Sarchí preserves traditional Costa Rican crafts. Chief among them is the oxcart, elaborately painted carriages that were once used to transport highland coffee to port. 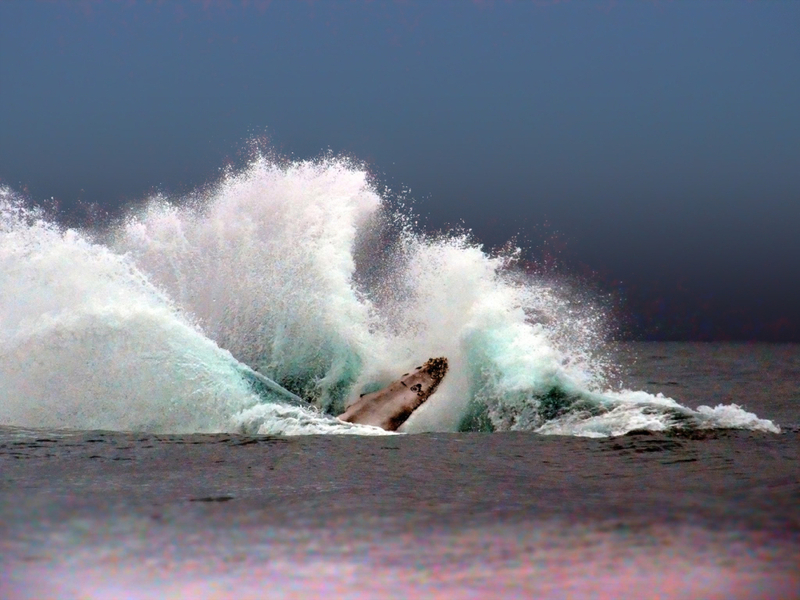 The coast around the Osa Peninsula, where Caño Island lies, sees multiple whale migrations each year, giving it one of the longest whale-watching seasons anywhere in the world. If you need evidence of Costa Rica's tremendous biodiversity, consider this: The nation is home to 133 known species of frog, many of which are endemic. This poison dart frog was photographed in the rainforests of the Gandoca-Manzanillo Wildlife Refuge, near the border with Panama. Costa Rica's forests are nearly as diverse as the creatures that live within them. Blanketing the lower reaches of the Tilarán Mountains in the northwest, the Monteverde Cloud Forest stands in near perpetual mist and harbors an extraordinary abundance and diversity of life. 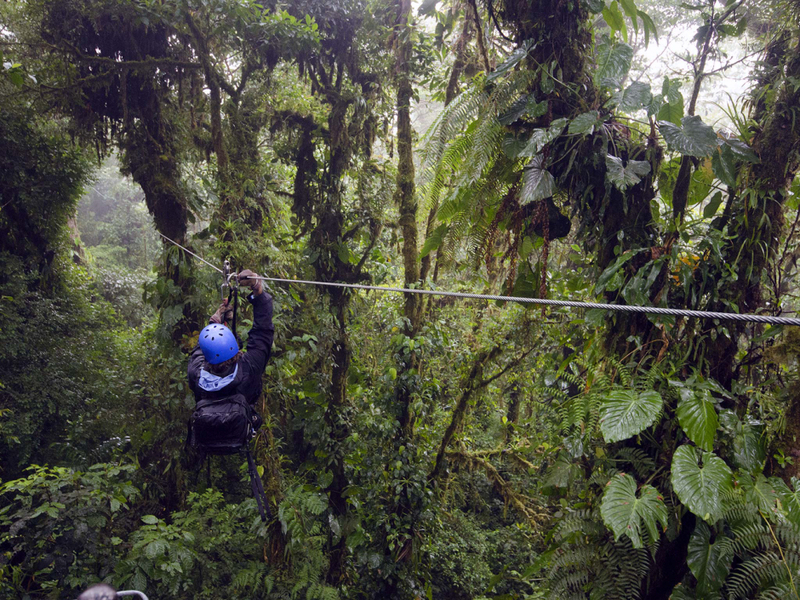 Its unique topography and wildlife attracts many tourists, who can choose from a variety of ecotourism excursions and adventure activities such as ziplining through the forest canopy. If you've ever wondered exactly where chocolate comes from, you can find out in Costa Rica. 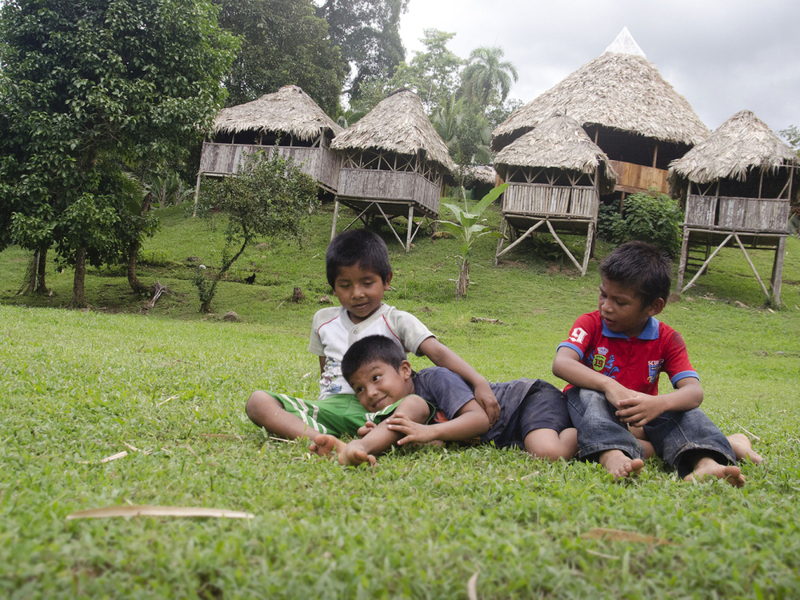 The country's indigenous people were trading in cacao long before Europeans arrived, and today many operations continue to produce high-quality chocolate from local beans. Nosara, a small city located on the mountainous Nicoya Peninsula, abuts some pretty awesome Pacific surf. Both of Costa Rica's coasts provide vital nesting grounds for endangered populations of sea turtles. Tortuguero National Park, on the Caribbean north of Limón, is recognized as a world leader in turtle conservation and study. You can have fun on the water away from the coasts as well. The Río Pacuare flows for some 70 miles from the highlands east of San José to the Caribbean just south of Tortuguero National Park, creating some excellent whitewater along the way. 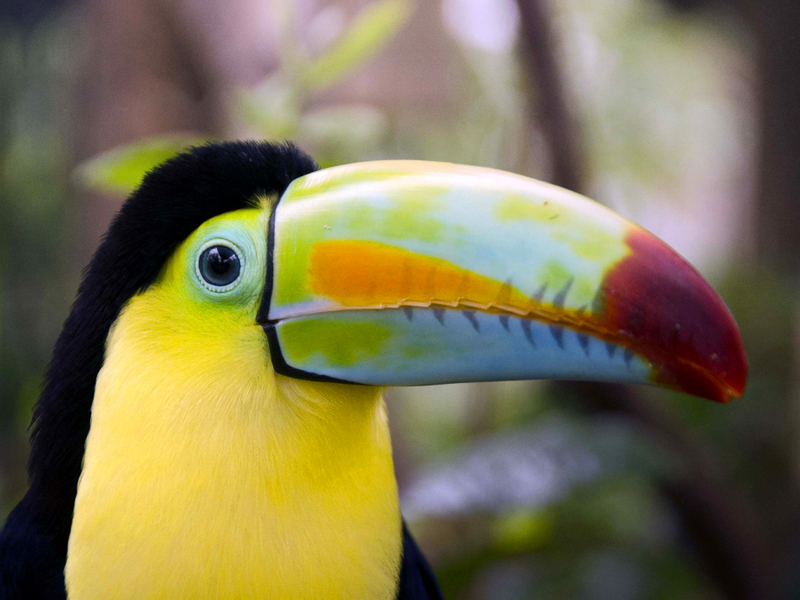 Few animals scream "tropical paradise" as loudly as the toucan. The bird above was photographed at the La Paz Waterfall, north of San José on Highway 126. 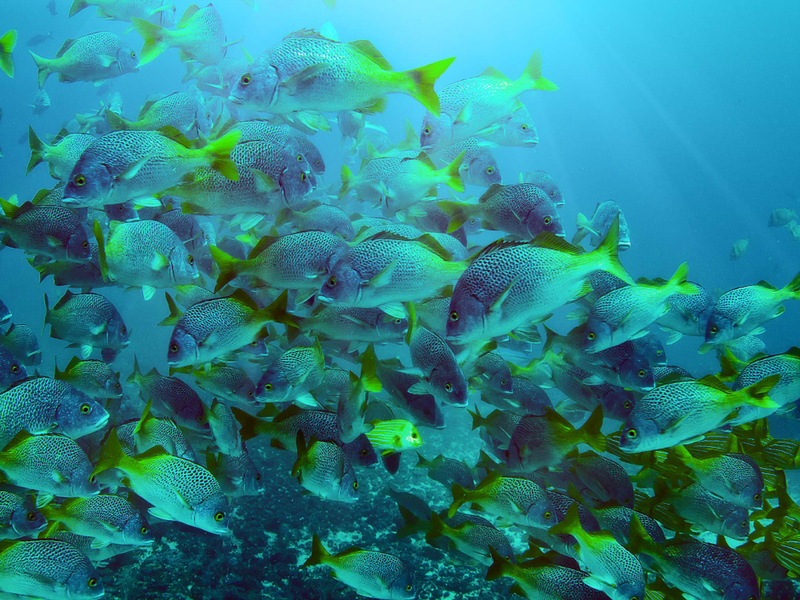 The abundance of wildlife below the waves is nearly as impressive as that above, which makes Costa Rica one of the world's premier destinations for diving and snorkeling. Costa Rica's oldest national park (established in 1971) covers the peninsula that forms the northern boundary of the Gulf of Papagayo, in Guanacaste province. Originally created to protect the site of a military battle, the park also contains a wide range of habitats and wildlife. 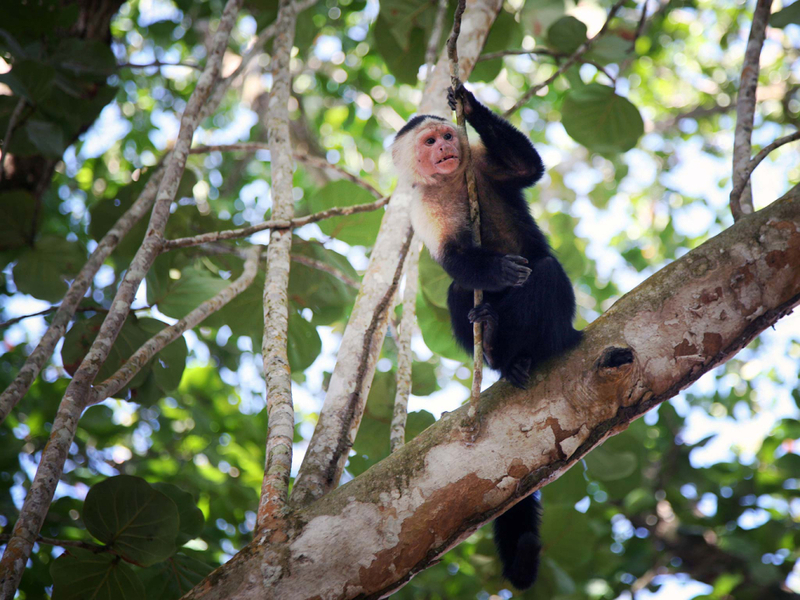 Cahuita mainly draws tourists with its excellent reef diving / snorkeling and sea turtle nesting grounds, but its land-based attractions, which include wildlife such as tree sloths, eyelash vipers, and capuchin monkeys, also make it worth a visit. Near the tip of the Nicoya Peninsula, just north of the Cabo Blanco Natural Reserve, you'll find this beach, which epitomizes everything that makes Costa Rica's shores so great. Arenal might strike a nice pose from a distance, but you'll want to look Poás right in its face. In the national park of the same name, you can follow a mile-long (round trip) paved trail to the top of the volcanic crater and peer down over eerily colored lagoons. Costa Rica's pioneering decision to set aside more than 25% of its territory as protected area rather than develop it means that tourism is a vital component of the national economy. Unlike in other countries around the world, where the effects of tourism are more dubious, Costa Ricans know your visit is helping enable them to preserve their unparalleled natural wonders. You will be welcome here. No matter where you are in Costa Rica, an epic beachside sunset over the Pacific is just a short drive away. Sure beats wasting your vacation days in the office, doesn't it?